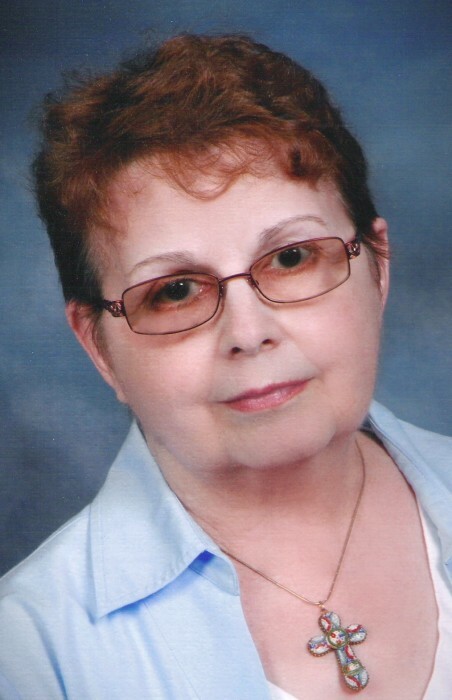 Carolyn R. Killion, age 74, Logansport, passed away at 3:05 a.m. on Friday, January 25, 2019, at WoodBridge Health Campus. Born Monday, July 3, 1944, in Logansport, she was the daughter of Harry W. and Edith R. Gross Hopper. A 1962 graduate of Logansport High School, Carolyn attended Indiana State University, earning a bachelor’s degree in 1967 and a master’s degree in 1972. She also attended Indiana Wesleyan University earning an additional thirty hours. As an educator for 40 years, she began teaching at Deacon, Pioneer, and Caston. She then went on to teach Latin and English at Logansport High School where she remained from 1970 until 2007. Carolyn was active in Literacy Volunteers of Cass County and Kappa Kappa Kappa sorority. She was a member of All Saints Catholic Church where she sang in the choir. Surviving are a son, William Anthony “Tony” Killion (Norma), Woodbridge, VA; daughters, Heather Dworski (Reed), Columbia, MD, Aimee Carter (Ron), Knoxville, TN; brothers, Wayne Hopper (Candy), Huntsville, AL, Richard Cox (Sharon), Zelienople, PA; sister, Vivian Tam (Dennis), Fountain Hills, AZ. Also surviving are grandchildren, Kirstin Kirkland (Will), Austin Killion, Ryan Dworski, Andrew Dworski, Steven Hamlin and Joseph Hamlin; great grandchildren, Liam Kirkland, Finn Kirkland, Kaiya Killion and Amara Killion as well as many nieces, nephews, cousins. Several aunts and uncles preceded her in death. The Mass of Christian Burial will be celebrated at 11:00 a.m. on Monday, February 4, 2019, at All Saints Catholic Church, with Fr. Jeff Martin, officiating. Visitation will be from 4:00 to 7:00 p.m. on Sunday, February 3, 2019, at Kroeger Funeral Home and from 9:30 to 10:30 a.m. on Monday, also at the funeral home. Interment will be in the Mount Calvary section of Mount Hope Cemetery. Memorial contributions may be made to All Saints Catholic Church, 112 E. Market Street, or Literacy Volunteers of Cass County, 600 Regency Place, both of Logansport, IN 46947. Envelopes will be available at the funeral home.